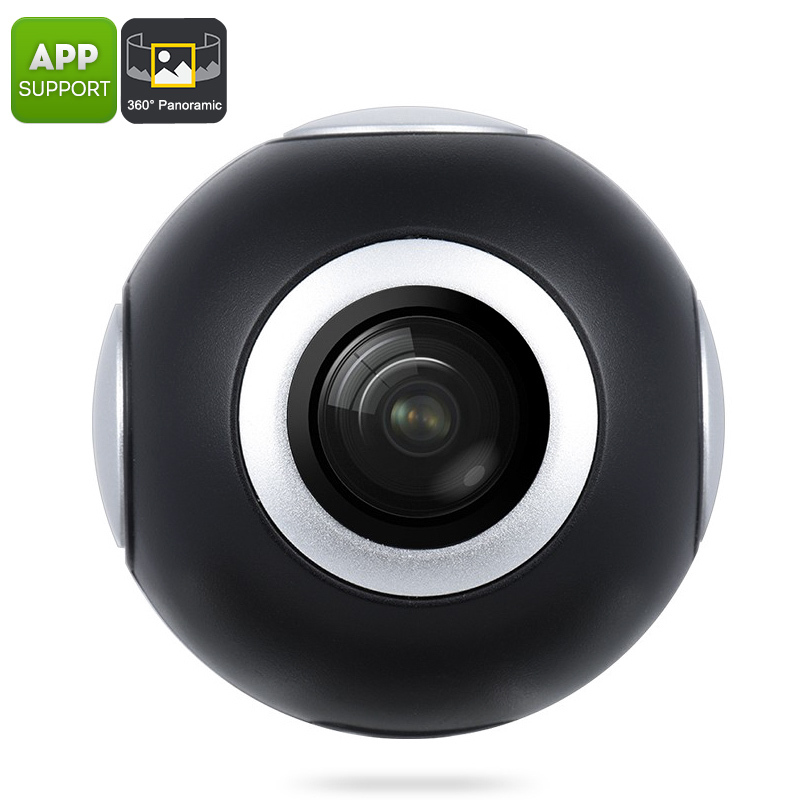 Successfully Added Android 360 Camera - 360-Degree VR Video, Panoramic Pictures, USB-C, Micro USB, 2048x1024p, Live Broadcasting, Social Sharing to your Shopping Cart. This Android 360 camera allows you to capture stunning 360 videos from your smartphone. The 360 camera comes with a USB Type C and micro 2.0 adaptor. Thanks to this, it can be used with many of latest Android phones. It allows you to shoot 2048x1024p video at 30fps and 2MP panorama pictures. All you have to do is plug it into your Android phone, and you’re ready to go. It features a compact and lightweight design, meaning it can be conveniently carried around. This cool electronic gadget is great for all mobile photography lovers out there. The Android 360 camera is powered by your phone’s battery once it has been connected. Therefore you’ll never need to worry about charging it before hand. This smartphone VR camera works whenever it has been connected to your Android device. It offers smooth recording and provides highly detailed images. From now on, you’ll be able to snap all your adventures in a totally different perspective. Besides shooting 360 video, this VR camera also supports live streaming. This makes the 360 video camera great for vloggers and other people that wish to share their adventures with the outside world. Sharing your recordings through social media is also possible. From now on your friends and family will be able to share your joy and excitement while you’re out on your next adventure. If you are looking to add a new dimension to your pictures and videos, this Android 360 camera is perfect for you. With this VR camera, you’ll be able to record your adventures like never before. Providing you with stunning 360 footage, it is guaranteed to leave you with recordings that will impress your friends. This 360 camera lets you recall your previous adventures in a totally new and exciting way. This Android 360 video camera comes with a 12 months warranty, brought to you by the leader in electronic devices as well as wholesale electronic gadgets..